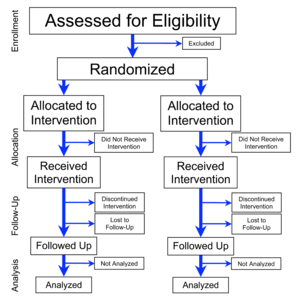 A randomized controlled trial (RCT) remains the pinnacle of clinical research design. However, RCTs in neurosurgery, especially those comparing surgery to non-operative treatment, are rare and their relevance and applicability have been questioned. From 2000 to 2017, PubMed and Embase databases and four trial registries were searched. RCTs were evaluated for study design, funding, adjustments to reported outcome measures, accrual of patients, and academic impact. Eighty-two neurosurgical RCTs were identified, 40 in spine disorders, 19 neurovascular and neurotrauma, 11 functional neurosurgery, ten peripheral nerve, and two pituitary surgery. Eighty-four RCTs were registered, of which some are ongoing. Trial registration rate differed per subspecialty. Funding was mostly from non-industry institutions (58.5%), but 25.6% of RCTs did not report funding sources. 36.4% of RCTs did not report a difference between surgical and non-operative treatment, 3.7% favored non-operative management. Primary and secondary outcome measures were changed in 13.2% and 34.2% of RCTs respectively and varied by subspecialty. 41.9% of RCTs subtracted ≥ 10% of the anticipated accrual and 12.9% of RCTs added ≥ 10%. 7.3% of registered RCTs were terminated, mostly due to too slow recruitment. Subspecialty, registration, funding, masking, population size, and changing outcome measures were not significantly associated with a reported benefit of surgery. High Jadad scores (≥ 4) were negatively associated with a demonstration of surgical benefit (P < 0.05). Neurosurgical RCTs comparing surgical to non-operative treatment often find a benefit for surgical treatment. Changes to outcome measurements and anticipated accrual are common and funding sources are not always reported 1). From January 1961 to June 2016, Randomized Controlled Trials (RCTs) with >5 patients assessing any 1 neurosurgical procedure against another procedure, nonsurgical treatment, or no treatment were retrieved from MEDLINE, Scopus, and Cochrane Library. The median sample size in the 401 eligible RCTs was 73 patients with a mean patient age of 49.6. Only 111 trials (27.1%) described allocationconcealment, 140 (34.6%) provided power calculations, and 117 (28.9%) were adequately powered. Significant efficacy or trend for efficacy was claimed in 226 reports (56.4%), no difference between the procedures was found in 166 trials (41.4%), and significant harm was reported in 9 trials (2.2%). Trials with a larger sample size were more likely to report randomization mode, specify allocation concealment, and power calculations (all P < .001). Government funding was associated with better specification of power calculations (P = .008) and of allocation concealment (P = .026), while industry funding was associated with reporting significant efficacy (P = .02). Reporting of funding, specification of randomization mode and primary outcomes, and mention of power calculations improved significantly (all, P < .05) over time. Several aspects of the design and reporting of RCTs on neurosurgical procedures have improved over time. Better powered and accurately reported trials are needed in neurosurgery to deliver evidence based care and achieve optimal outcomes 2). Martin E, Muskens IS, Senders JT, DiRisio AC, Karhade AV, Zaidi HA, Moojen WA, Peul WC, Smith TR, Broekman MLD. Randomized controlled trials comparing surgery to non-operative management in neurosurgery: a systematic review. Acta Neurochir (Wien). 2019 Feb 23. doi: 10.1007/s00701-019-03849-w. [Epub ahead of print] Review. PubMed PMID: 30798479. Azad TD, Veeravagu A, Mittal V, Esparza R, Johnson E, Ioannidis JPA, Grant GA. Neurosurgical Randomized Controlled Trials-Distance Travelled. Neurosurgery. 2018 May 1;82(5):604-612. doi: 10.1093/neuros/nyx319. PubMed PMID: 28645203.